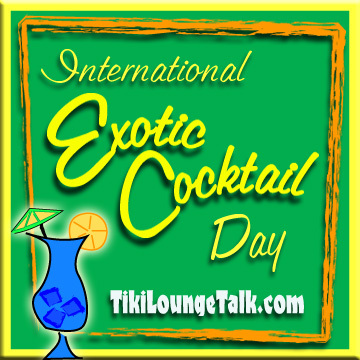 Happy St. Patty’s Day from Tiki Lounge Talk! 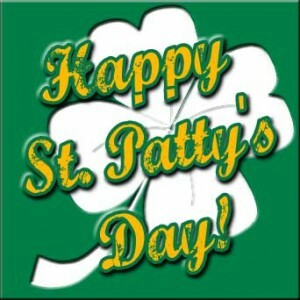 Hope everyone has a great St. Patty’s Day, and that the hangover isn’t too bad. Top o the mornin’ and Erin go Braless and all that jazz to you on this fine St. Patty’s day. Let us take a moment to remember the true history of St. Patrick’s Day. You see, St. Patrick wasn’t really Irish. And he wasn’t Roman, either, as most historians would tell you. He was in fact Tahitian. His real name was Pa-ti O’Tiki. 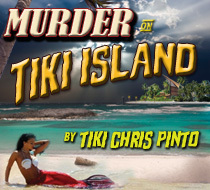 Long, long ago Pa-ti O’Tiki was restless among his beautiful lands of bright green palm trees and crystal blue ocean. He yearned to travel, and made it his life’s adventure to find another island as green and beautiful as Tahiti, but with better booze. He built a boat of reeds and bamboo, filled it with coconuts for his trip, and began to sail around the world. He came across many groovy lands, but none as wonderful as his home. 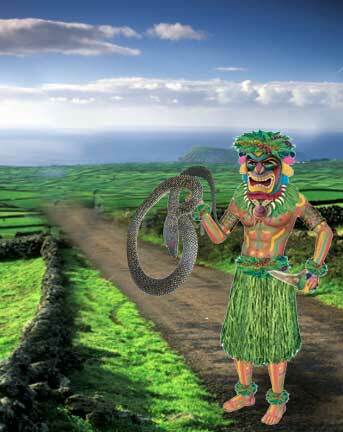 Then one mystical day, he landed on the Emerald Isle, with its breathtaking beauty and lush green fields. He felt he finally found his second paradise. Then he got bit by a snake, which really miffed him, and whacking it with a coconut he said, “I gotta get rid of these snakes.” So using an old Tahitian trick (which used a combination of coconut milk and rum), he lured the snakes to the edge of a cliff, got them drunk, and flipped them over the side. The Irish people were so thankful for this act that they made Pa-ti O’Tiki a saint, and named him St. Patrick, which sounded a lot more Irish than his Tahitian name, and so kept him from getting beat up in the local pubs. 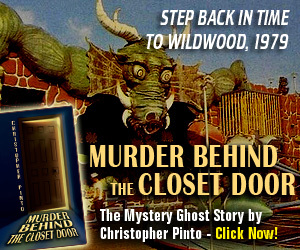 They did in fact dig, (and they dug more than just potatoes), and that evening they introduced Pa-ti to their two most prominent citizens, Mr. Guinness and Mr. Jameson. Then they all sat down to a traditional feast of corned beef, cabbage and coconuts. (The coconuts eventually died off from the original feast). A few hours later, flying high and feelin’ kookie from the fantabulous booze, Pa-ti started kicking a coconut around…and soccer was born. Today we celebrate this wonderful holiday by drinking the traditional Irish Whiskey out of a coconut, eating corned beef, and wearing green just like Pa-ti O’Tiki’s original grass skirt. And if you believe any of this, I’ll sell you the Brooklyn Bridge for a dollar. St. Paddy’s Day or St. Patrick’s Day.